We’ve been busy with clay crafts this week. 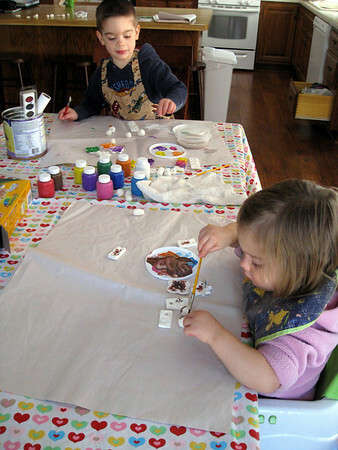 I found a recipe for cornstarch clay which we made earlier this week. The kids measured and dumped in all the ingredients and we mixed up a batch. 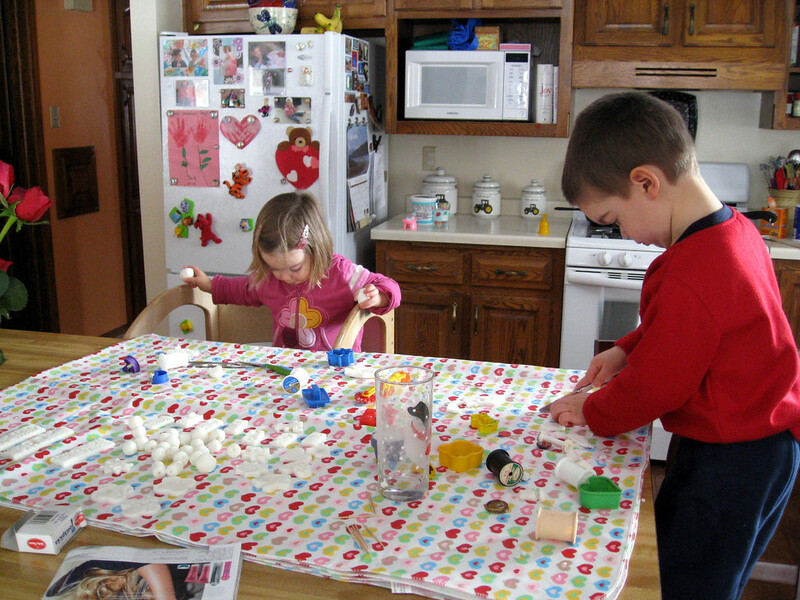 When the clay was cooling, we went on a scavenger hunt around the house finding all sorts of things to push into the clay to make imprints. We collected some old spools, buttons, cookie cutters, forks, bottle caps and various other things that made a cool mark when smashed into the clay. The kids had a ball seeing what kind of mark each item made. 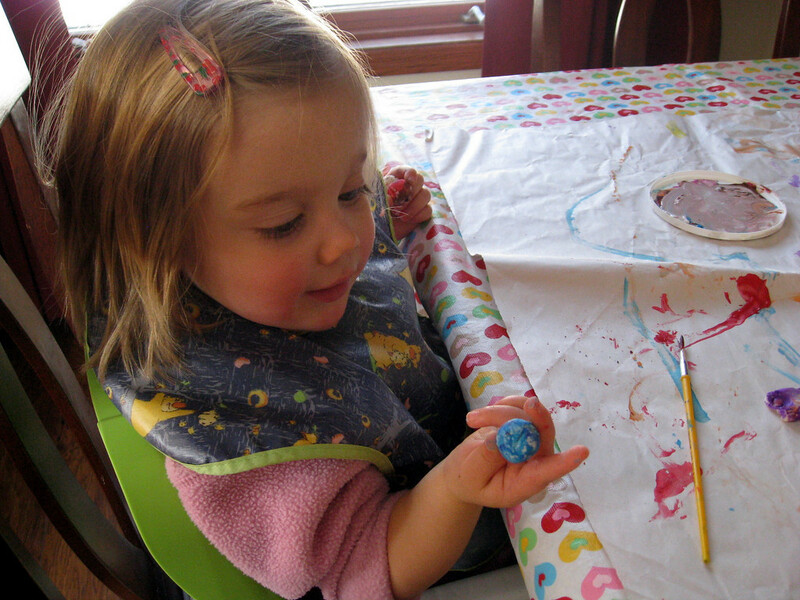 After our clay was full of imprints, we took cookie cutters and made shapes and also rolled some into balls to make beads. We poked a hole in everything so we can either hang them up or string them together. Then everyone was tired of that activity, so we let them sit on the counter to dry for a few days. Today we decided to paint all of our beads and other various hanging things. We got out paints and brushes and started up our “Lion King Soundtrack” station on Pandora for some nice background music and got to work. 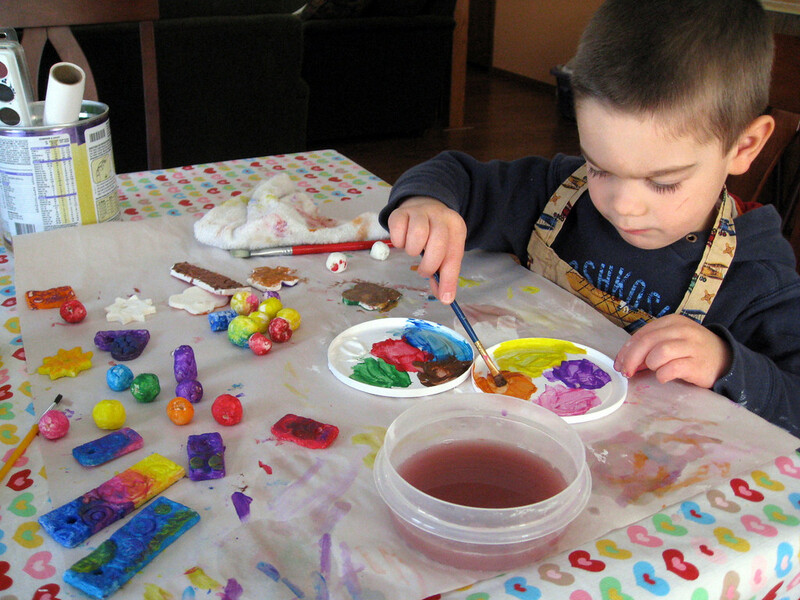 Jack was very good at choosing specific colors for different things and he chatted non-stop about why he was painting each color where he was. 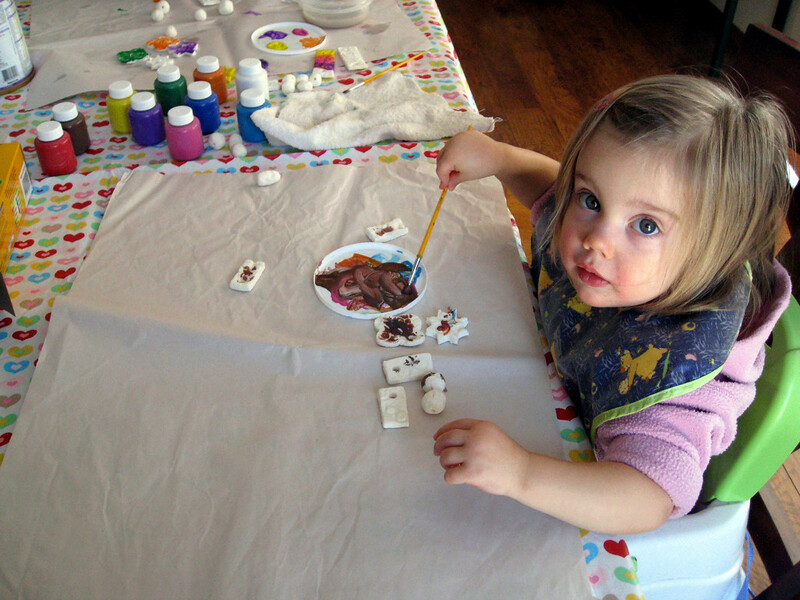 Jacey liked to roll the beads in the paint and then roll them around on then paper to make cool designs. I mostly kept elbows out of paint and constantly rinsed out brushes. I did get to paint a few myself in between all that. Now they are drying and we talked about what we are going to do with them when we ate lunch. We might make a mobile. Or maybe a necklace. I guess stay tuned, maybe we’ll have a picture of what we decide to do with our creations! I love how crafty and creative you guys are. You always have some fun project going on!